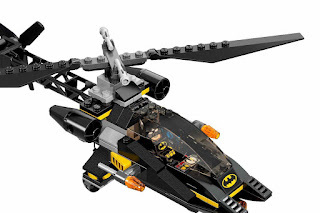 come with a nightwing’s glider and a batcopter. the copter has an openable cockpit, spinnable rotors, 2 flick missiles and a workable winch and hook. 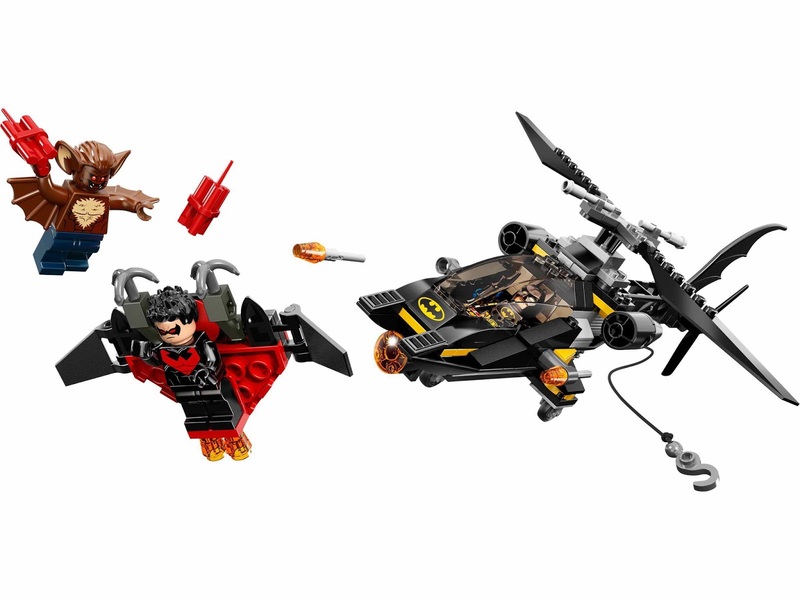 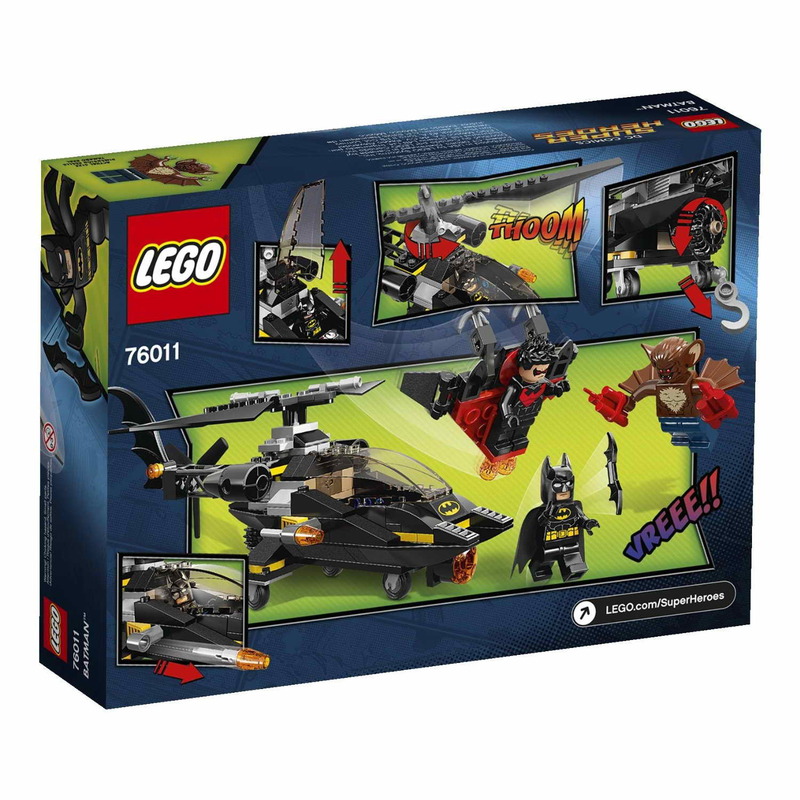 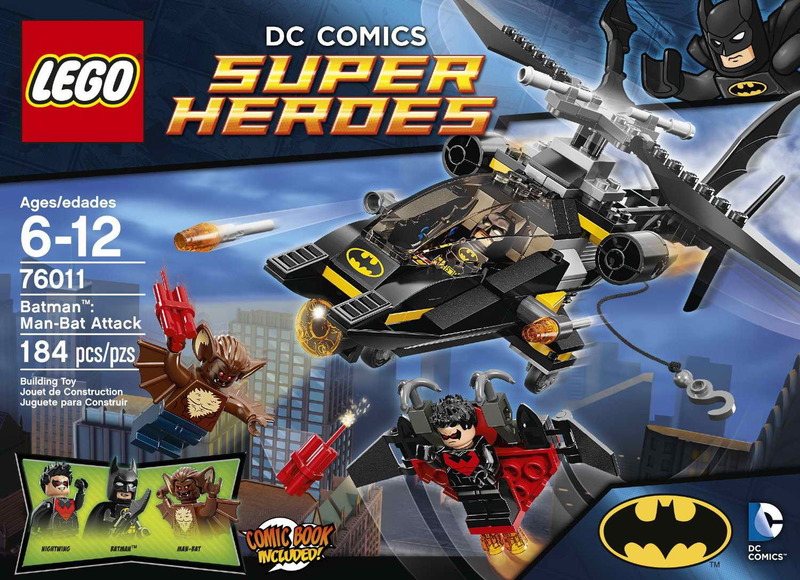 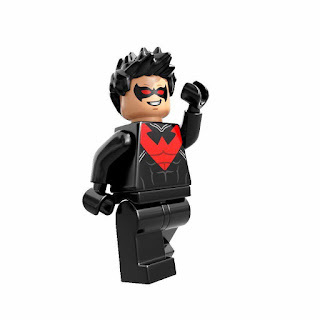 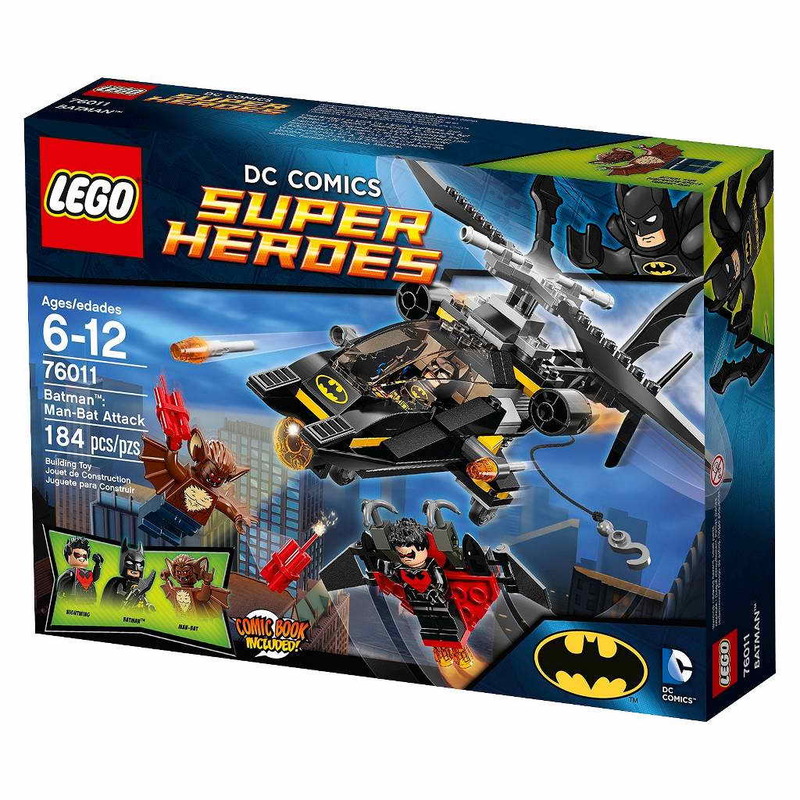 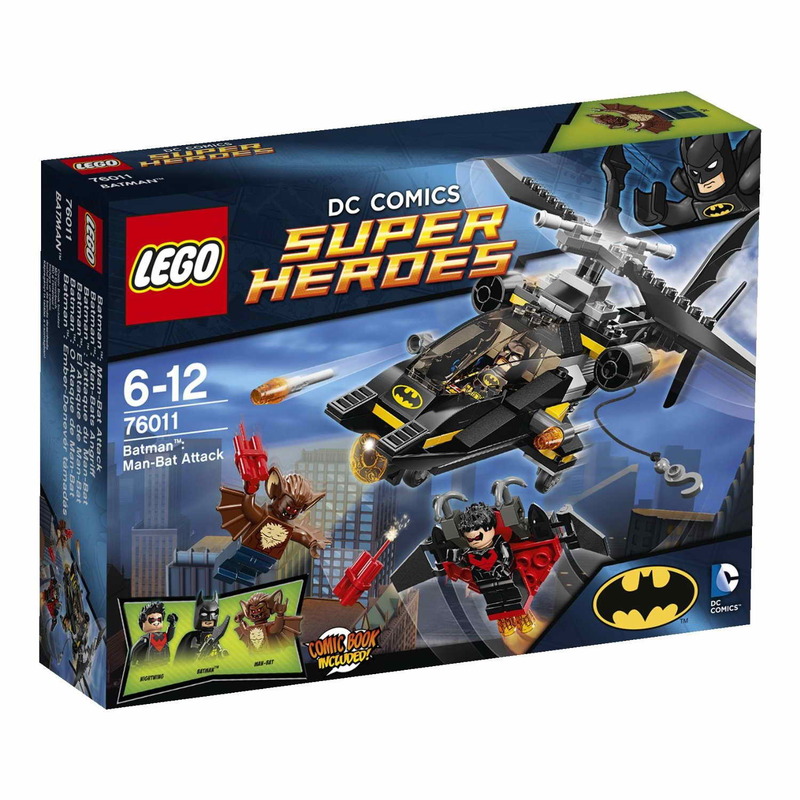 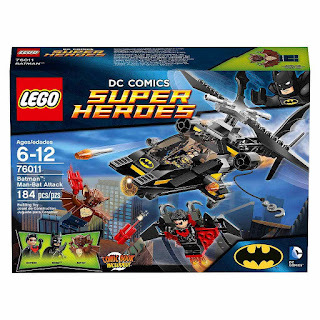 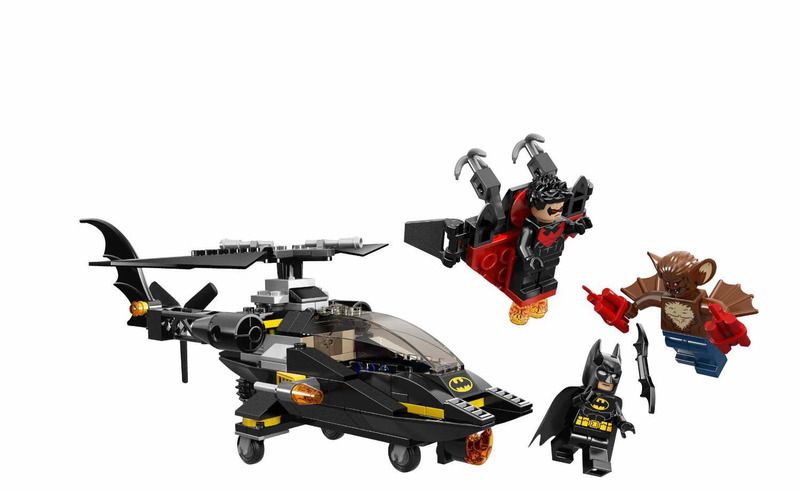 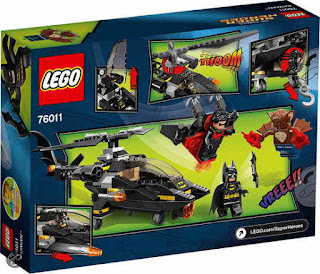 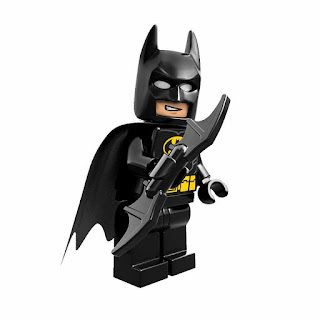 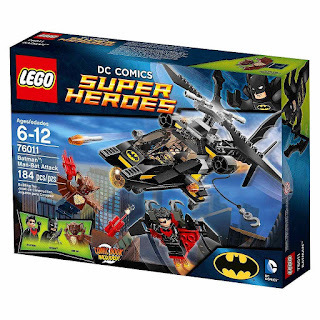 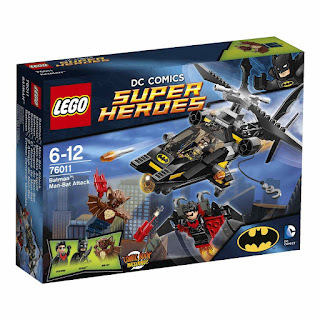 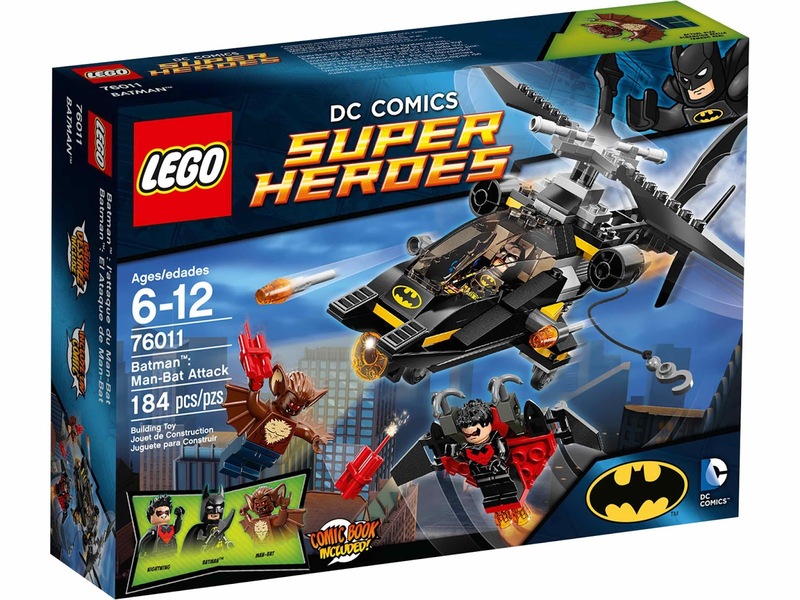 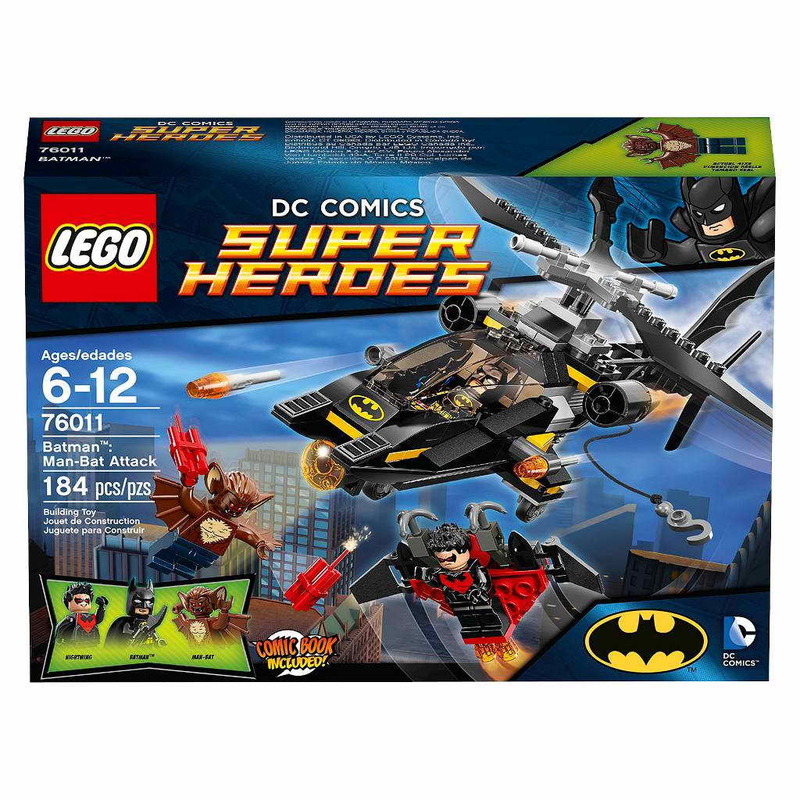 minifigs included a batman minifig, a nightwing minifig and a man bat minifig.